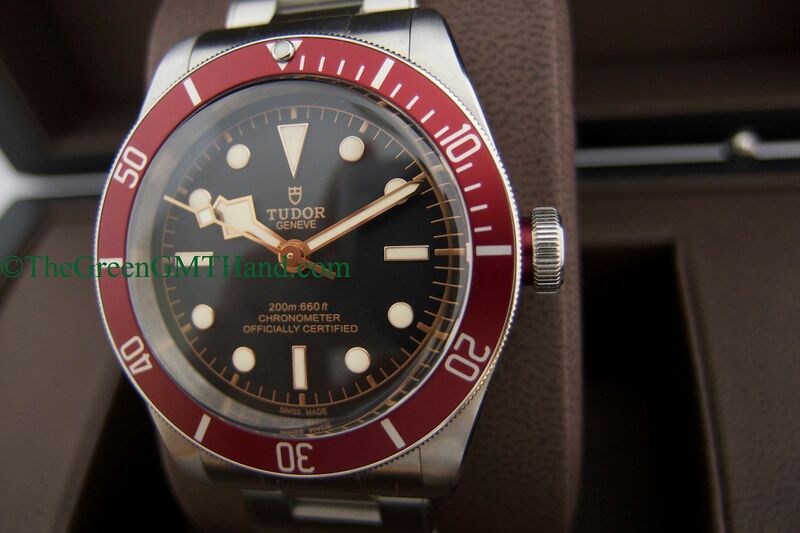 Up for sale is a like brand new Tudor 79230R Heritage Black Bay Burgundy full set. 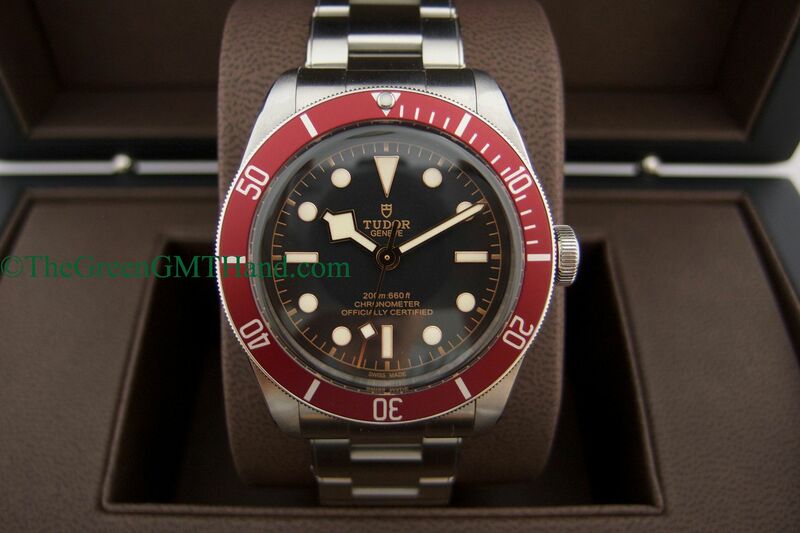 Tudor apart of the Rolex company, and this new Black Bay was introduced in 2016 at Baselworld. 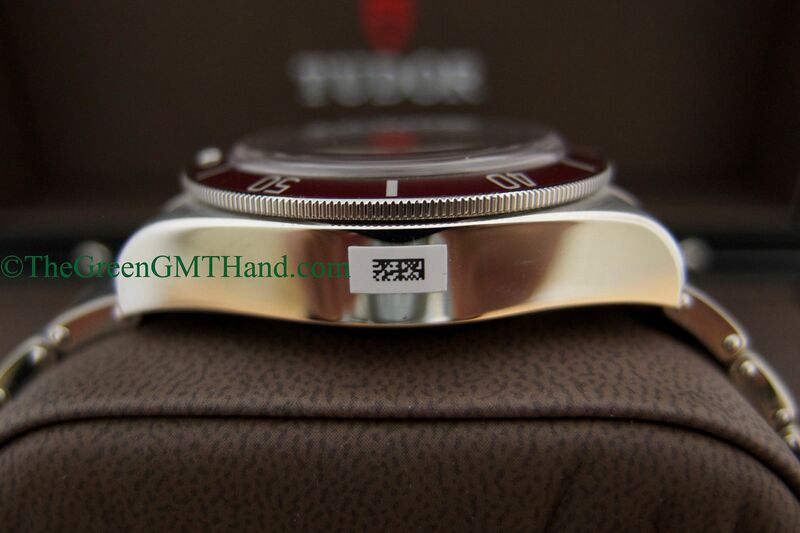 The newly designed fully in house Tudor MT5602 movement has an absurd 70 hours of power reserve, compared to 38 hours in the previous model. 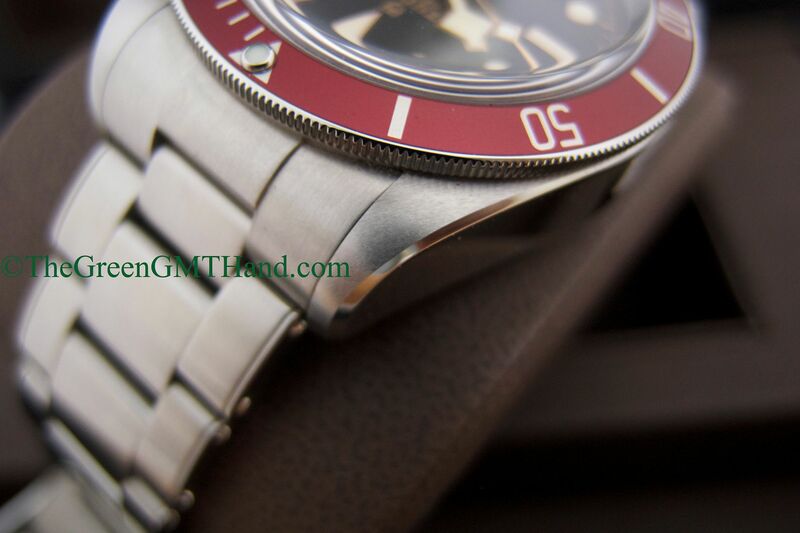 That power reserve is higher than any current Rolex except the Daytona and the 40mm President models. The movement is also COSC certified. 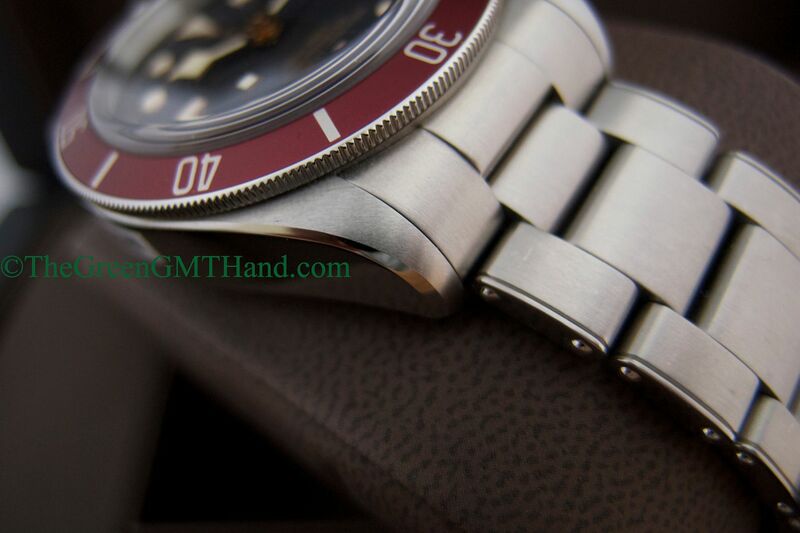 The newly introduced rivet bracelet pays homage to Rolex and Tudor bracelets of the past. 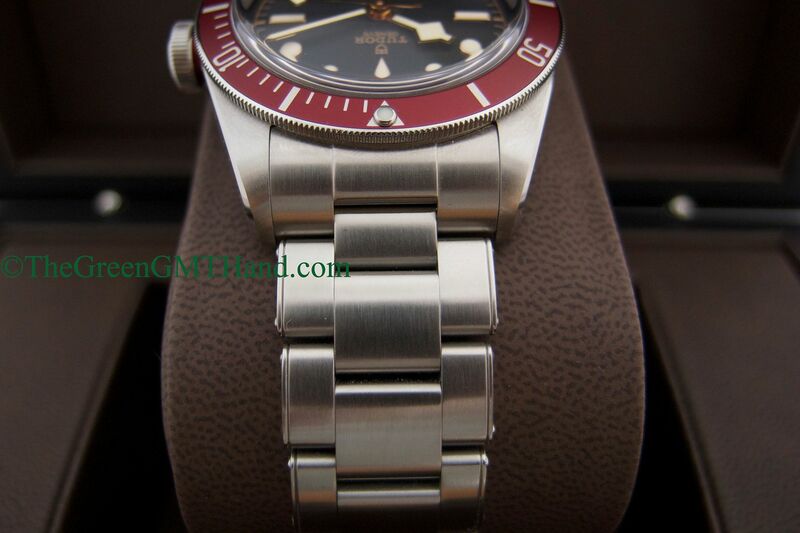 There is also an OEM Tudor burgundy fabric strap included. 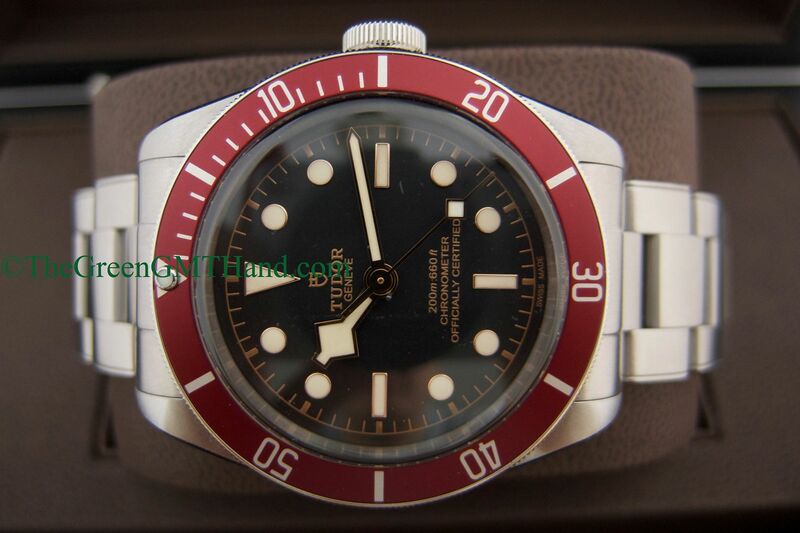 At 41mm, this Black Bay has outstanding wrist presence, and serves well as an everyday watch for both dressy and casual wear. 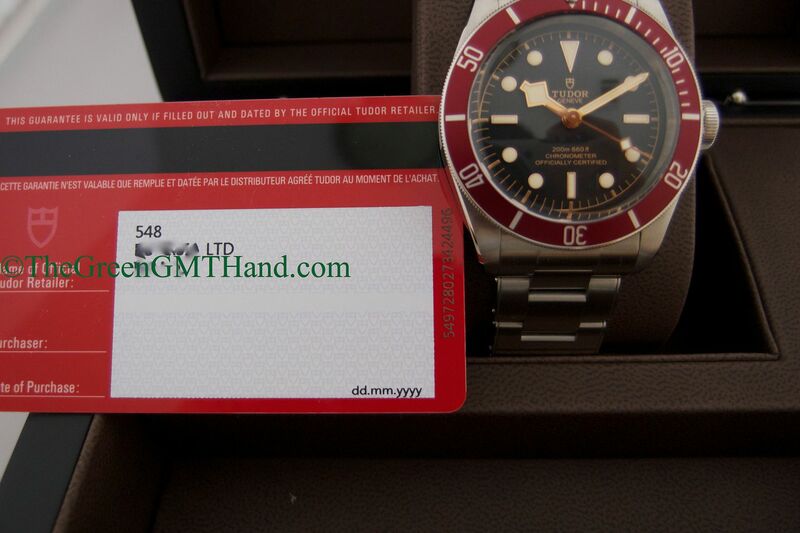 Warranty card will be filled with owner’s name and date of purchase. Call us today! Price: $3395 (Wire/Check). $3495 (Paypal/Credit Card Below). For Paypal, we only accept payment from confirmed Paypal verified users and will only ship to the confirmed Paypal verified address. 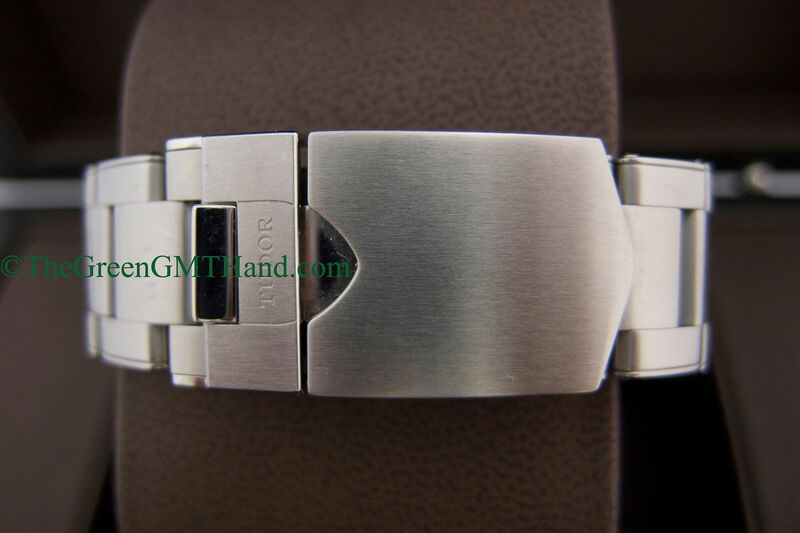 International clients please contact us before purchasing. Price includes Fedex Air insured delivery within domestic USA, signature required upon delivery. 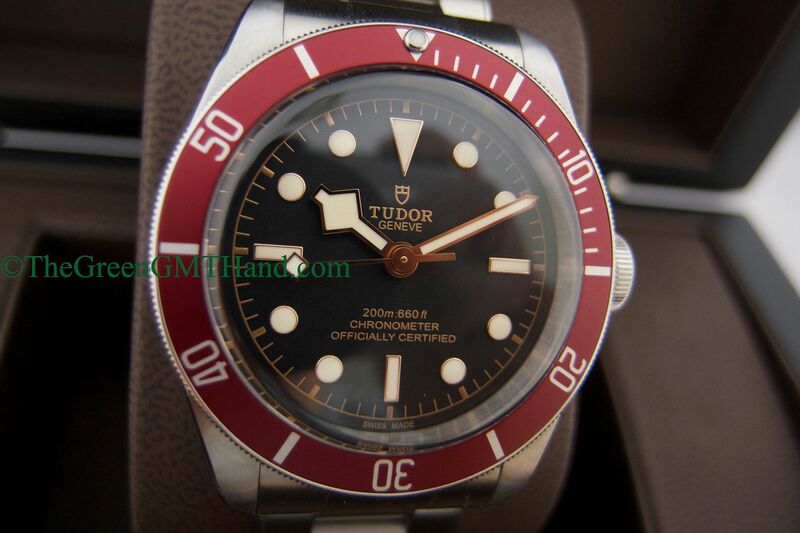 Rolex/Tudor trade- ins accepted, and we are always looking to buy complete Rolex and other fine Swiss timepieces; please offer us your timepiece here. Local customer pickup at our Chapel Hill, NC location is welcome by appointment. 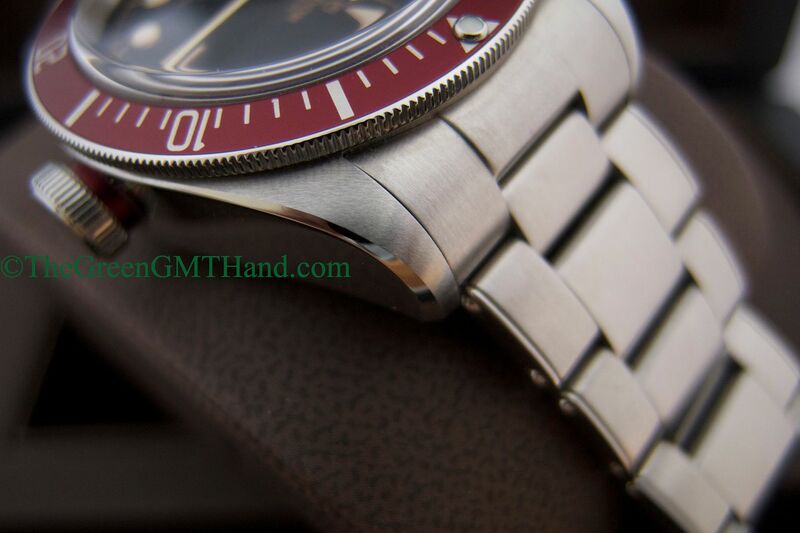 We offer complete Rolex recommended 5-year services, case refinishing/restoration, and movement repairs by our Rolex trained watchmaker. Any questions, call us toll free at 1-(888)-229-2513 or email us. 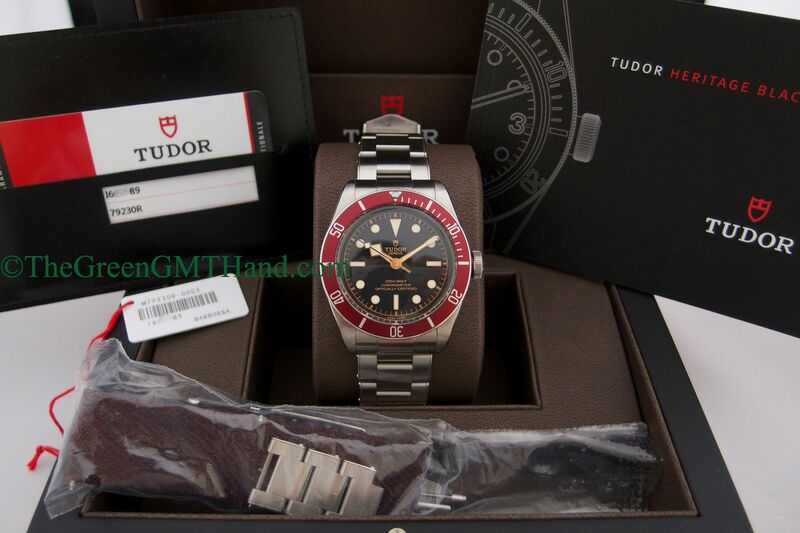 Thank you from The Green GMT Hand. 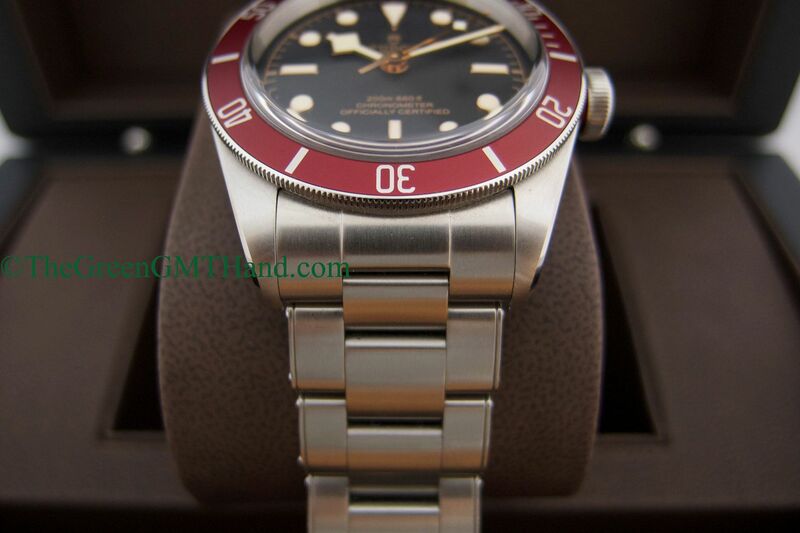 The Green GMT Hand is not an official dealer or affiliated with Rolex/Tudor USA or Rolex/Tudor SA in any manner. 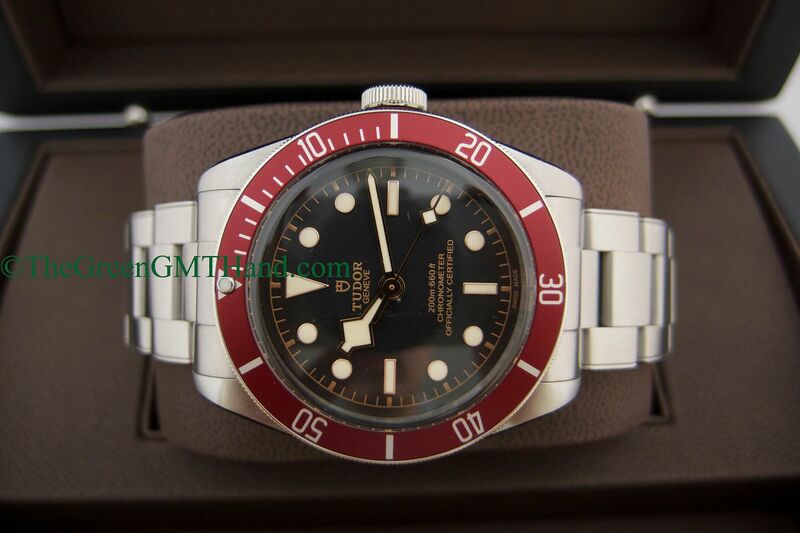 We are not an official dealer or service provider for Rolex or Tudor. 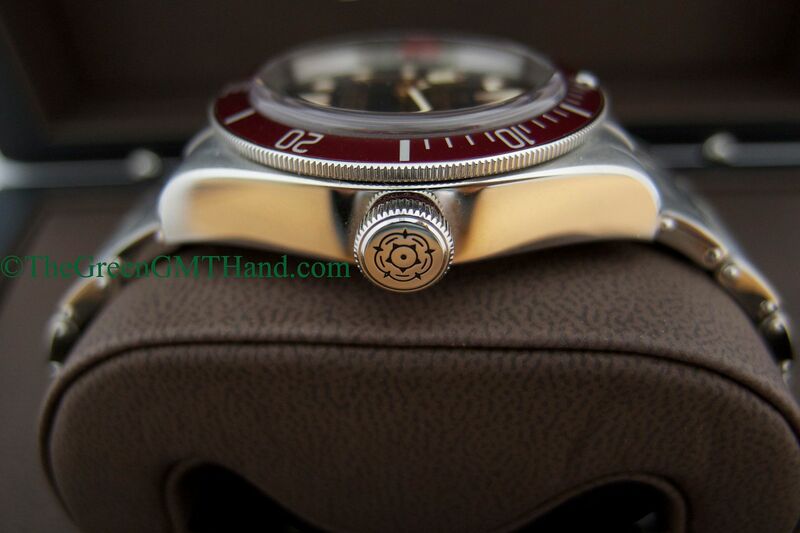 The Green GMT Hand is a fully independent watch dealer. 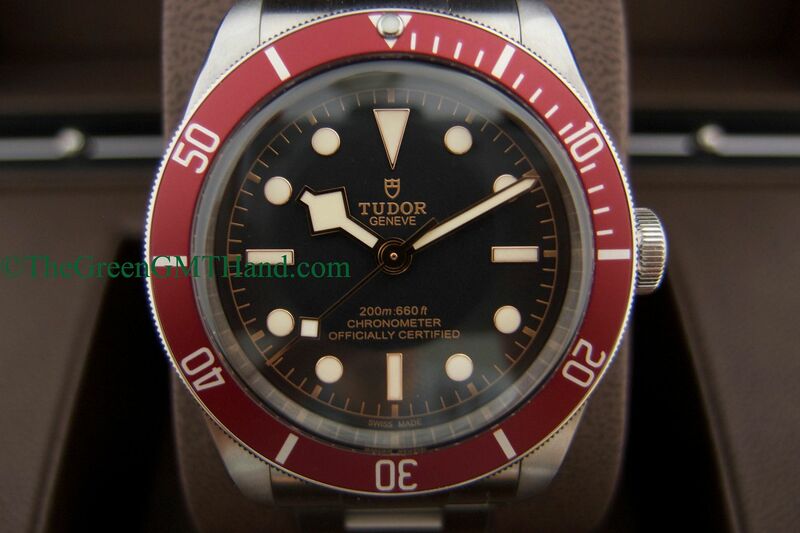 All our watches come from various dealers here in the US and all over the world. 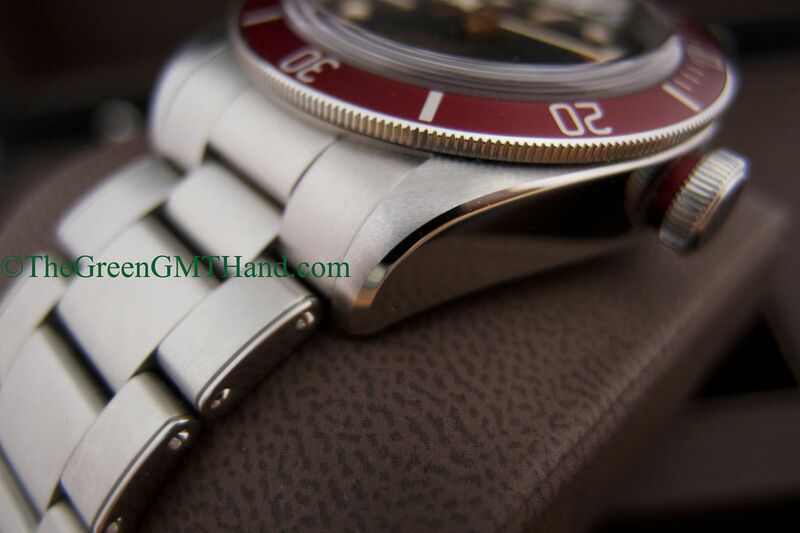 All our watches are guaranteed authentic and we stand by their Complete Authenticity. All brand names, trademarks, and copyrights are the property of their respective owners and are used purely for identification purposes.